Some of the best landscape performers we’ve seen, the ‘Jolt’ series gets a new member of the family with ‘Pink Magic.’ Three inch white flowers magically deepen into darker shades of pink as they mature, making a beautiful spray of color. Plants are all-season performers with strong dark-green foliage that tolerates all sorts of weather and are lovely in the garden or containers. Dianthus may be grown from seed sown early indoors and transplanted outside after frost, or sown directly in the garden after frost. Plant outdoors in a sunny area with well-drained soil after danger of last spring. 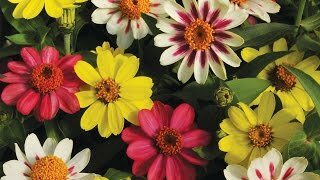 Sow thinly and evenly and barely cover with fine soil. Seedlings emerge in 14-21 days depending on the soil and weather conditions. Thin to about 12 inches apart. Dianthus makes a great long lasting cut flower. Great for containers as well as in the garden as a bedding plant.